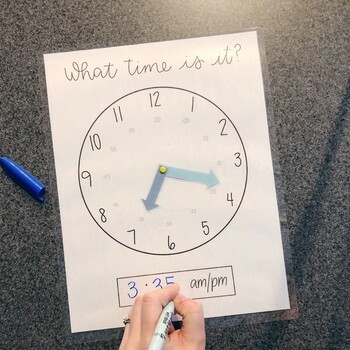 Teach analog time the fun way! 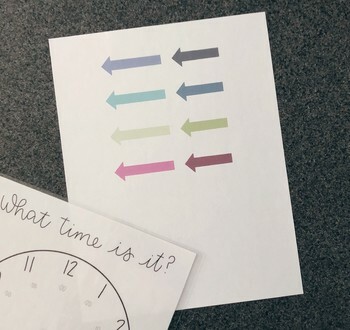 This printable clock is perfect for all ages and learning styles. This clock prints on 8.5 x 11 inch paper. Two files are included, the clock face and the hands, in four different color options. 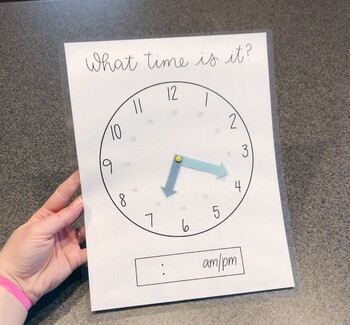 Simply print, cut out the clock hands and attach them with a brad fastener. This makes the clock hands movable, and interactive for the child to learn! The clock and hands are shown laminated, for easy practice. Use with a dry or wet erase marker.